Kuala Lumpur, Malaysia, February 27, 2018 --(PR.com)-- Malaysia is one of the hidden jewels of Southeast Asia's tourist circuit. With its varied landscape encompassing rugged mountain ranges, rainforests teeming with life, sandy beaches, and contrasts between futuristic cities and sleepy villages, this beautiful country welcomes over 25 million tourists a year - and it's not hard to see why. 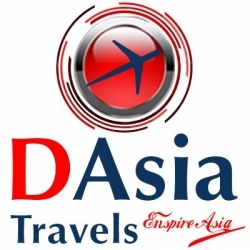 Now one of Malaysia's leading travel agencies and tour companies, D Asia Travels- https://www.1dasia.com/ has announced that it is offering slashed prices and discounts on many of its most popular packages to celebrate the upcoming Matta Fair™. "With the fair happening soon, D Asia is offering some incredible discounted deals to people thinking of coming to visit Malaysia or other destinations in Southeast Asia," said Mohd Arshad, Managing Director. "As a leading Malaysia travel agency, we offer a huge variety of Malaysia tours and Malaysia travel packages, including special, romantic Malaysia honeymoon packages. We want to share our beautiful country with others - and that's what makes us one of the best Malaysia inbound tour operators in the country." Mr Arshad also added that visitors from Europe booking in March, April, and May are eligible for some of the best discounts, many of which are only available through the Malaysian travel agency's website. "Stunning, ethnically diverse Malaysia is Southeast Asia's holiday hero, offering travellers a huge range of attractions," TravelFish wrote recently. "Mix and match a trip that includes lush jungle trekking, chilling out on white-sand beaches, amazing snorkelling and diving, gastronomic adventuring, and immersing yourself in a colourful cultural heritage." Now, with D Asia inbound tour operator, this trip of a lifetime can be organized affordably and with local knowledge for visiting tourists. D Asia offers some of the most luxurious packages in Southeast Asia - with offers available not just in Malaysia, but also in Bali, Thailand, and further afield. The Malaysia tour agency also offers adventure packages for the more adventurous and can assist travellers with car and bike rentals, hotel bookings, flights, and more. The 2018 Matta Fair™ will take place between March 16-18 at the Putra World Trade Center (PWTC) in Kuala Lumpur, the capital city of Malaysia. The self-proclaimed travel extravaganza will 1,324 booths promoting a variety of domestic and international travel packages at affordable prices. Organized by the Malaysian Association of Tour & Travel Agents and sponsored by Malaysia Airlines, the event is expected to attract around 100,000 visitors; entrance is just RM4 per head, and children under 12 years of age may attend free of charge. For more information about D Asia honeymoon packages, exotic tours, and current special travel deals to Malaysia, Indonesia & Thailand land packages please book online or follow their Facebook page. For media inquiries, please contact Marketing Manager Anezah Ikbaal at +60 12 425 0469 or email her at info@1dasia.com.